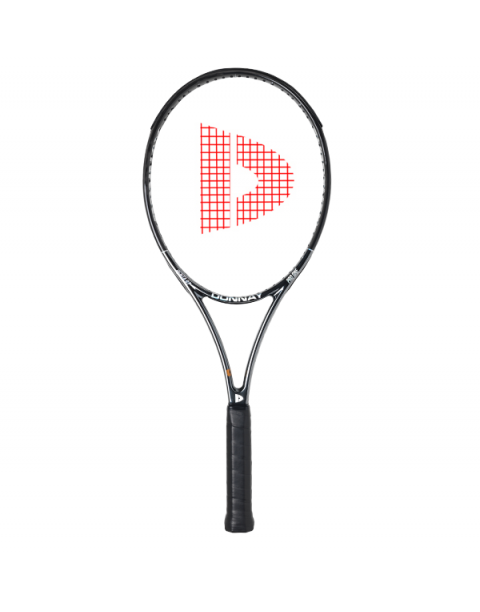 The sleek and lively Pro One 16x19 Pentacore is a more appealing and sensible option to the other players’ racquets that are heavyweights and swing like you’re dragging a hippo on a leash unless your name is Federer…or maybe King Kong or Godzilla. The Pro One 16x19, like its Pro One Pentacore 18x20 sibling with a tighter string pattern, is much easier to wield and plow through the hitting zone with its lower mass and much softer flex that combined gives it more power and touch than the Wilson Pro Staff 97, the current standard for 4.5-and-up players with long fluid strokes. But unlike the Pro Staff, the Pro One 16x19 is also accessible and accommodating to players of lesser playing levels who may also lack Herculean strength. That’s because the Pro One 16x19 Pentacore is much more maneuverable than the Pro Staff due to its half-ounce lighter stationary weight (even after Wilson put the Pro Staff on a diet this year), and a full 10 points lower in swing weight. 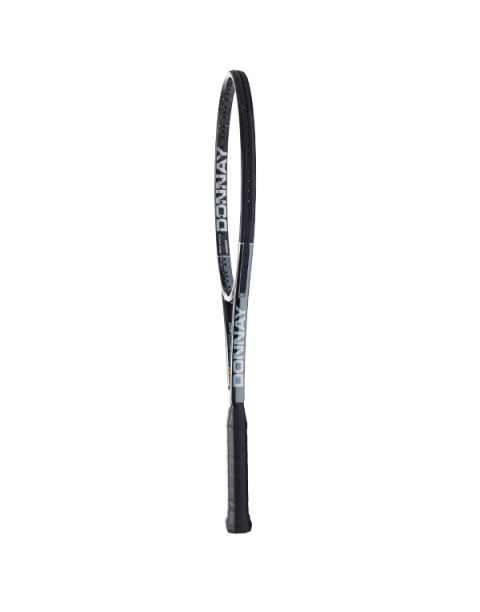 And the Pro One’s control factor greatly exceeds the Wilson due largely to its 9-point greater flexibility rating that enhances feel and directional ability that has enough feel at net and from the baseline to drop the ball on a dime. Donnay added a fifth foam-filled core (hence the name "Penta" which means "five" over its Quad (four cores) version that not only tweaks up the Pentacore’s arm protection over the Quad’s industry-leading comfort quotient but slightly tones down its stiffness and swing weight. While the Quad version remains the Mercedes Benz F015 of player racquets, the Penta is the Lamborghini Reventón. The main difference between the Pro One Pentacore 16x19 and its Pro One Pentacore 18x20 is the open string pattern of the 16x19 giving it more access to spin for open-stance western grip players versus the 18x20 which is preferred by older-school closed-stance hitters with eastern grips who play serve-and-volley style and prefer moderate spin.